Latest News Why You Should Support Online Voting And Provably Honest Elections. Support online voting with Follow My Vote! Currently we are pushing for both online voting and provably honest elections. We would like to ask all of our fans and followers to support online voting by joining our Follow My Vote supporters list! With this list we will know just how many people are with us! Upon joining we will update you on advancements concerning online voting legislation, the status of our endeavors, and ways you can help us on this journey. If your still not convinced, here are a few more reasons you should support online voting and join our supporters list. 1. Provably honest elections are necessary. We believe that all elections should be provably honest. Essentially this means that any participant in the election should be able to prove that the election is honest. It also means that participants or voters can prove that the election is broken or rigged. Specifically, the point of error can be exposed and proved. Currently in the US we rely on public oversight to keep elections honest. Paper ballots are hard to keep track of and to prove our point we posted hundreds of examples of election fraud on our social media accounts. Last year we ran a campaign called the “reasons campaign”, which included several hundred reasons to support online voting. Currently we cannot prove that our election are honest. With the online voting and the right technology however, we can prove that our elections are fair and honest. This alone is a fantastic reason to support online voting. 2. We can restore faith in the democratic process. If we can reach the point of provably honest elections we can begin to restore faith in the democratic process. People don’t vote because they just don’t care or they don’t believe their vote will make a difference. While there will always be a percentage of the population that is apathetic towards politics and elections, we can still change the minds of those who don’t think their vote counts. If you can prove that your own vote was counted along side every other citizens, you can make a pretty strong case for your vote making a difference. For a democracy to work we must all have faith in the democratic process. 3. Follow My Vote’s voting technology makes online voting extremely secure. But isn’t internet voting susceptible to fraud and hacking? 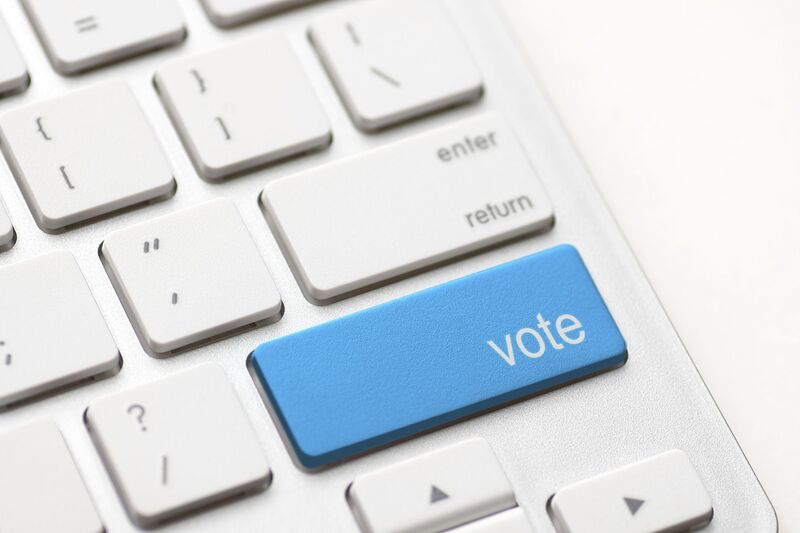 Why should I support online voting? There have been cases of online voting systems getting hacked, we are very aware of these instances. We are also aware that our technology is cutting edge and that blockchain technology provides more than enough security measures for online voting. We use the same technology as Bitcoin and BitShares. Both of which have high volumes of financial transaction that have yet to be hacked. (this excludes centralized exchanges, which forgo the power and protection decentralization provides) We must also look at the current security measures. Recently many “secure” voting machines have been found to be easily hack-able. Most of them have bee decertified as is the case with the recent WinVote incident. Support online voting so that we can have more secure voting in the US and around the world. In some parts of the country a ballot can cost upwards of $10 per citizen or registered voter. Combine that cost factor with a registered voting population of 6 million people for example, and now you have a $60 million election. (This can be the cost of an election for just ONE city or district) Elections cost a lot of money. Support online voting with us and we will reduce the cost of elections, saving tax dollars that can be re-purposed for building infrastructure and creating jobs. Not only does online voting save money but it also saves trees. One fact that people don’t know is that election registrars actually have to print ballots for all the possible citizens registered to vote. This means that when we have had poor voter turnouts we have wasted a good chunk of our tax dollars on paper ballots the were never used. This occurs every election in one degree or another. Help us be good stewards of this planet we call home. Support online voting today! About the author: Will Long is the Marketing Manager of Follow My Vote. He believes everyone should support online voting, as it is the only sure fire way elections can be truly honest and fair.